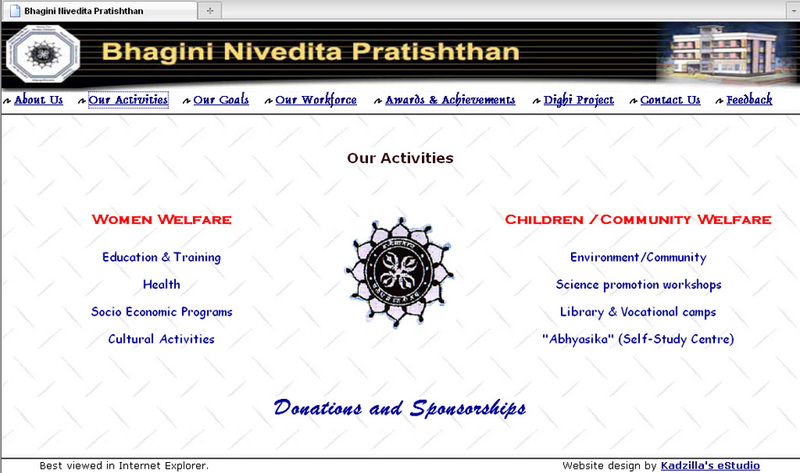 Charity work for an NGO. 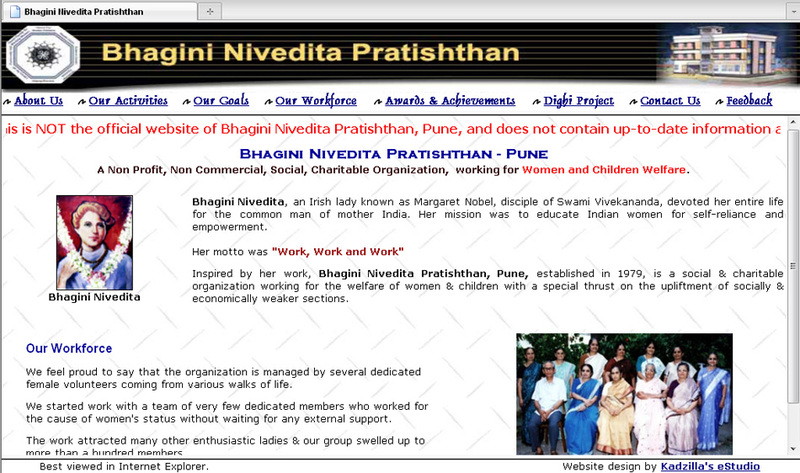 Re-vamped the old website of the NGO. Status: Was eventually not used. 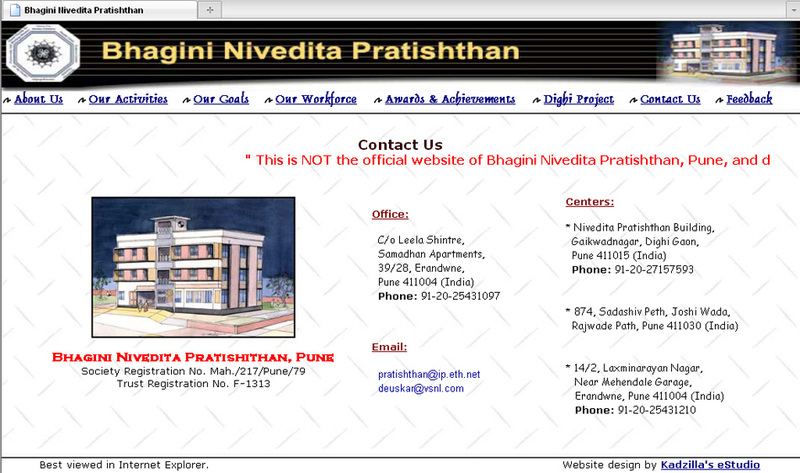 Fresh re-design of the website. Converting PPT data into HTML. 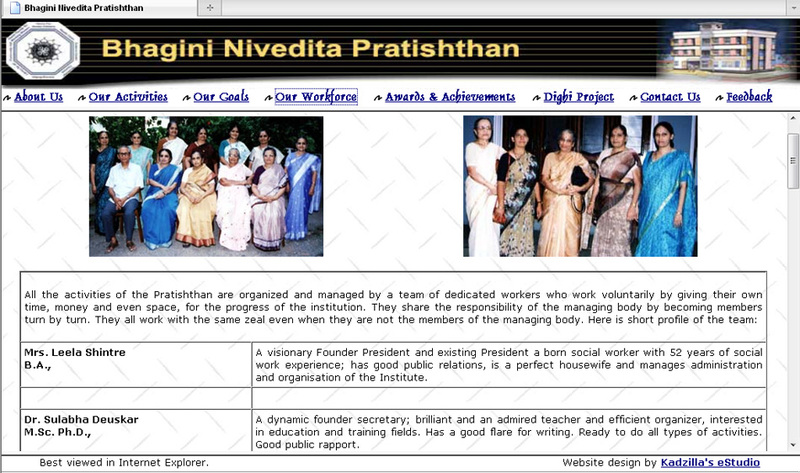 Use of HTML tables and frames to maintain the aesthetics of the site. Internal linking of static pages. 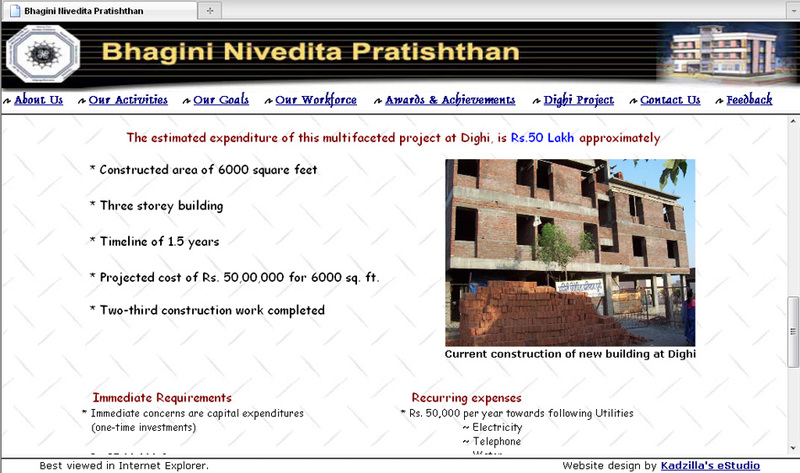 Having been designed in 2004, this site is best viewed in Internet Explorer.